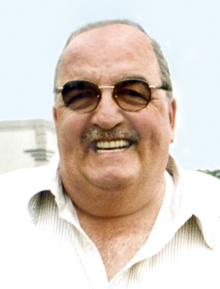 Bradley, John E. of Boston, passed away peacefully on Sunday, March 17, 2019. Devoted father of Jennifer Soares (Bradley) and husband Paul of Woburn, John Bradley Jr. and wife Stefanie of Stoneham, and Rita Tigges of East Boston. Beloved longtime friend of Nicole Giglio. Cherished grandfather of Grace, Jack, Nicolas, and Michael. Family and friends will honor John's life by gathering in the Ruggiero Family Memorial Home, 971 Saratoga Street, (Orient Heights) East Boston, on Saturday, March 23rd, at 8:30 A.M. before leaving in procession to Saint Joseph - Saint Lazarus Church, East Boston, for a mass celebrating John's life at 10:00 A.M. Other services will be private. John was a Special Officer at Boston City Hall. He was an avid deep sea fisher and loved going to the racetrack at Suffolk Downs in East Boston.